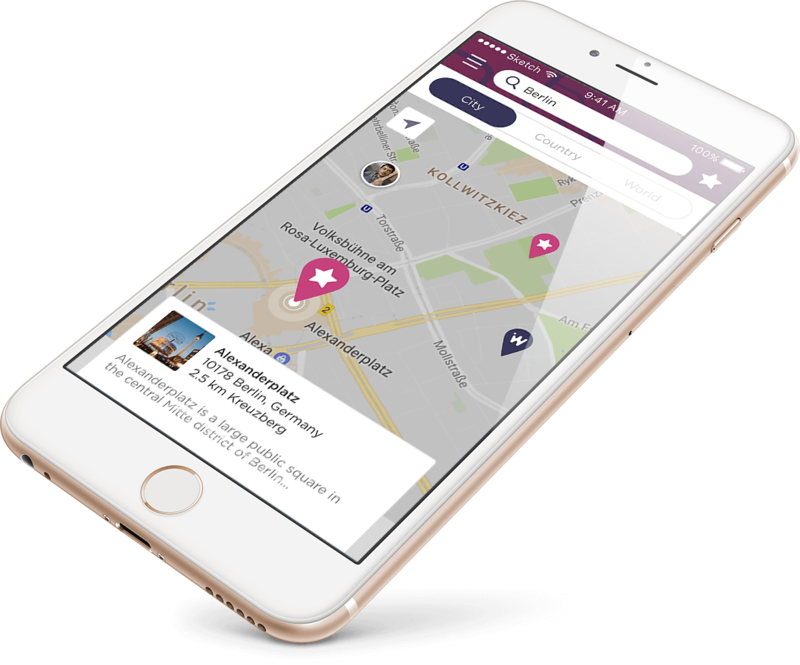 We have built a mobile application, which helps the globetrotters among us keep track of the places and even specific venues and attractions that we have visited. Since many of us frequently visit the same countries and cities, the application was intended to help us avoid visiting the same attractions over and over again, instead suggesting new places to visit in the locations, which we thought we knew. YOW is a mobile application that functions as a travel scratch map. In the beginning, your travel map is black, but whenever you visit a new country, city or street it unveils an area, which was black before and marks the place you have been to. The map is based on the API of Google Maps. You can build a list of favourite places and use navigation for finding new spots. Our technical team used a comprehensive set of tools and technologies during app development. YOW works offline, through GPS, so there is no need to constantly look for Wi-Fi. Every time you take your finest snapshots you can attach them to the locations where they were taken using the app. 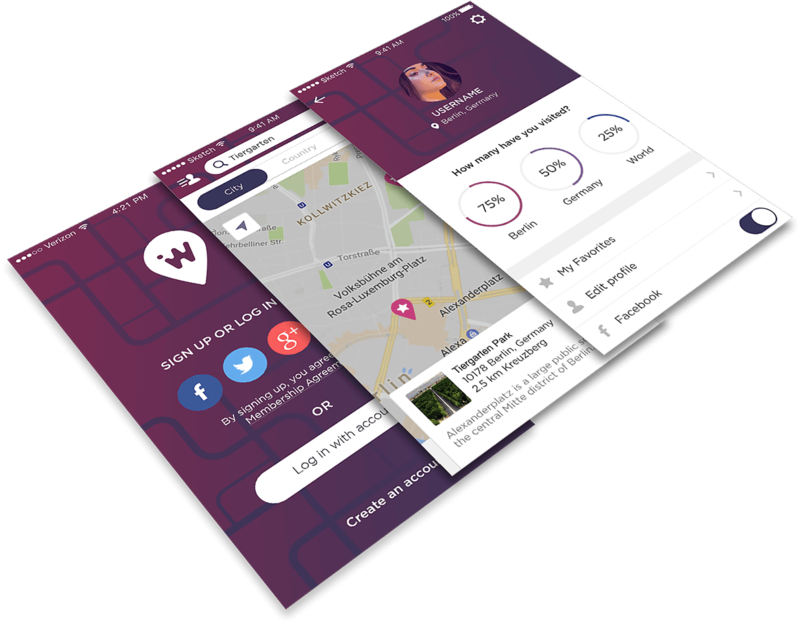 Whether you are visiting an old favourite location or on an exciting exploration trip, the app will give you suggestions of places to see nearby.